I had a question from a Ravelry user about how to make the sleeves larger for my chevron stripes 3-season sweater. This is mostly an issue for the larger sizes where arms need a bit more space than I allowed in the original pattern. In my original pattern, the sleeves are all the same size (they have 40sts, or 4 chevron repeats). Adding in an extra pattern repeat by crocheting an extra 10 fsc for the underarms also adds in extra width across the bust, an undesired side effect! So here is how to eliminate the additional 10sts on each side from your sweater, if you want to make the sleeves larger, which I would suggest considering for a size 42 inch bust upwards. 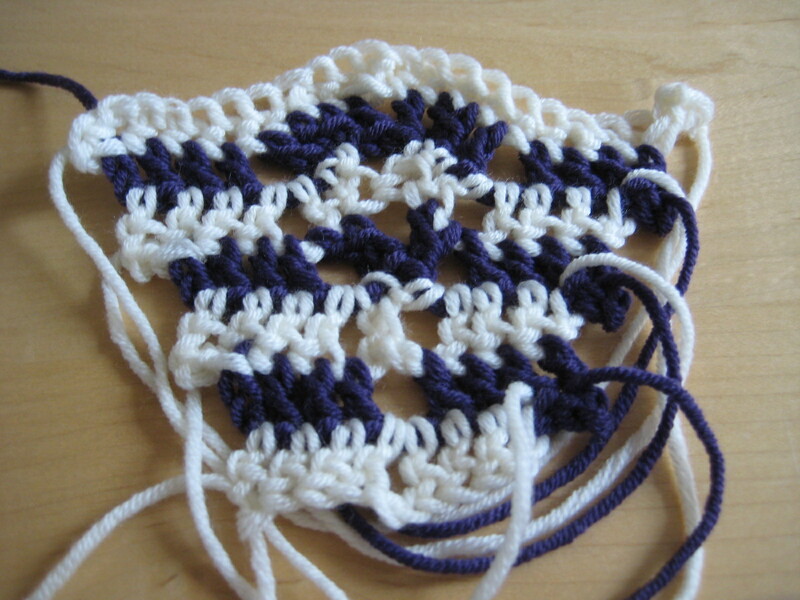 Swatch of decreases (20sts to 10sts). Ignore the loops of yarn, I didn’t want to cut it! Sleeve insertion round: This is as before, but replace “fsc 10” with “fsc 20”. Place st markers on the middle 10 fsc, i.e. after the first 5 fsc, place a marker, then on the 10th after this marker, then there should be 5 more fsc before joining main body. Now remove markers and continue to work in body pattern; your st count should be restored to the number in the original pattern. Sleeves: As per original pattern, but repeat pattern sts to make 50sts total in the round. 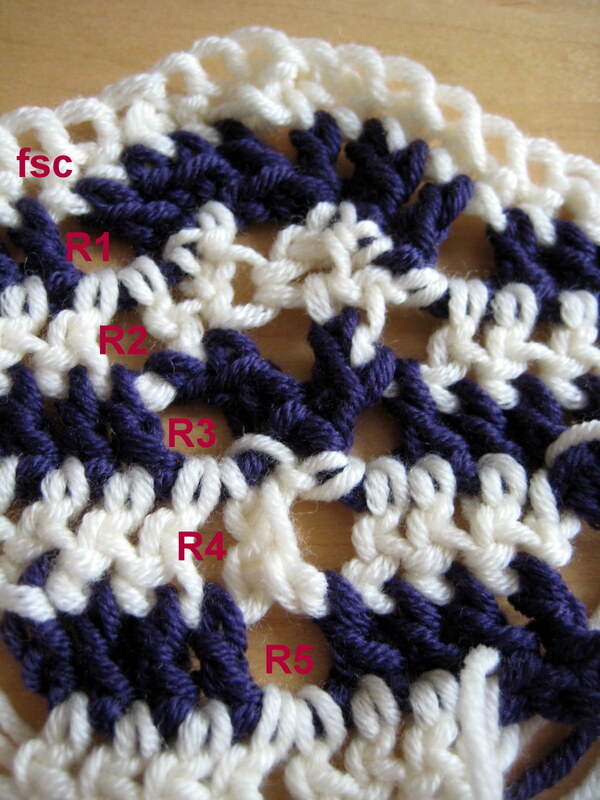 The first sleeve round should place the additional pattern repeat on the middle 10 fsc. Hope this helps, do let me know if you spot any errors or have any suggestions!